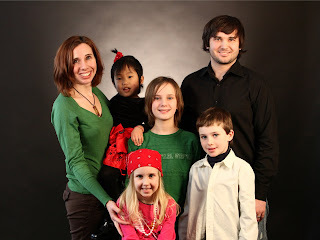 Forever Family: Here is to 14 Years of Doing it Wrong! Happy Anniversary to My Beautiful Wife, and Best Friend! for my wife quitting her job to be a "Stay at Home Mom"
Considering that we seem to have done so many things wrong, I think it has turned out pretty darned great! Congratulations Adrian & Roberta! Here's to 14 or 28 or... more years of breaking all the "rules" and sticking it out - together! Hope you enjoy your day! Congratulations on your anniversary and Best Wishes for many more to come! Pretty sure we made MANY of those same mistakes, includes folks taking bets at the wedding on how long it would last! 26 years DH and I are still going strong! Happy Anniversary you two!!! And the cool thing is that it keeps getting better...yep you'll add more items to both lists, but that's ok as you continue to see the Lord's plan in all of it! :) We celebrated 27 years this past June...unbelievable! :) HUGS to your family! HAPPY ANNIVERSARY ROBERTA AND ADRIAN!!!!!!!!! !